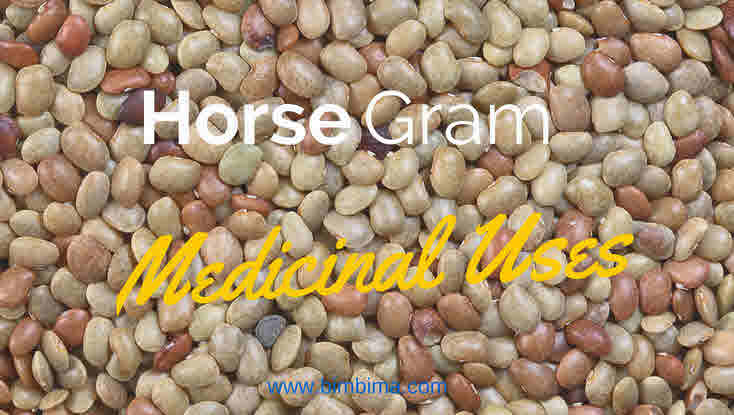 Kulthi is also known as Horse gram is eaten as pulse in India has clinically proven medicinal property to remove kidney stone. Kidney stones or renal calculus are stones formed in urinary tract. The source of these stones or crystals are the minerals obtained from diet. The most common stones that are formed in the body are calcium oxalate and magnesium ammonium phosphate type. Many individuals, who suffers from this problem often reports its reoccurrence after treatments. In modern medicine there are many good medicines and treatment options available. But there is no allopathic medicine that is without side-effects. In case, the stones are big and there is no other alternative than modern medicine is best option. But if stones are smalls and the problem is repetitive than traditional medicine can help. In traditional medicine herb are used for treatment of diseases. These are time-tested and does not pose any harm. So even if, person is on allophonic medicines he/she can try this option. One of the common pulse that can be used for breaking and expulsion of the urinary stones from the body is Kulthi. Vernacular names: Sanskrit: Kulatha, Bengali: Kurtikalai, Gujarati: Kalathi, Kulit, Hindi: Kulthi, Kannada: Hurali, Malayalam: Muthiva, Muthera, Marathi: Kulith, Kulthi, Tamil: Kollu, Telugu: Ulavalu, Trade name: Horse gram. Kulthi beans or horse gram is a commonly grown pulse, especially in Chota Nagpur, Tamil Nadu and Southern part of India. As a home remedy, you can use Kulthi for stones treatment. Scientific studies has confirmed its diuretic and anti-urolithiasis properties due to the presence of many phytochemicals such as phenolic compounds, flavnoids, steroids and Saponin. You can buy Kulthi from market. Before using it, remove all the impurities and wash it very well under running water. Daily intake of kulthi dal breaks the stones and expels them from the body. You can prepare Kulthi dal like any other dal. How to prepare Kulthi Daal Soup? This can be prepared by boiling 25 grams dal in a 200 ml water. This should be boiled till water reduces to 50 ml. Filter it and drink hot, twice a day. Kulthi decoction should be taken twice a day. I have a 5 mm stone in my left kidney.doctor tells me it is in uterus so it will take time to coming out..now i m going to use kulthi to remove the stone..will it be removed with kulthi ? I have 7mm stone in my kidney and i do have problem of uric acid. I HAVE KIDNEY STONE IN BOTH SIDE 4MM ON LEFT & 5MM ON RIGHT & ALSO A CYST IN THE WALL OF LEFT KIDNY. IS THE HORSE GRAM CURE THE PROBLEMS? It is quite big, please consult to good urologyst. Can kulthi dal break .77 cm kidney stone & how many time use it. Can i take with allopathic medicine. There is no defined time, it helps removing kidney stone please do not use as medicines, only an Ayurvedic doctor can tell you how to treat someone’s condition as every person problem is different.